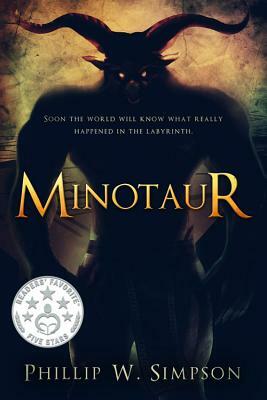 Reimagining the Greek myth of the notorious half man, half beast, this book tells the tale of Asterion the Minotaur, recorded by the famous Roman poet, Ovid. “Where shall I start?” asked the Minotaur. Ovid made an expansive gesture with both hands, “Where else but the beginning of course.” The Minotaur nodded his huge head, his eyes already glazing over with the weight of a thousand year old memories. So begins the story of Asterion as he describes his boyhood in Crete under the cruel hand of his stepfather Minos, adventures with his friend, Theseus, a growing love for the beautiful Phaedra, and what really happened in the labyrinth. Phillip W. Simpson is a teacher and a children s book author. Before embarking on his writing career, he joined the army as an officer cadet, worked in recruitment in both the UK and Australia, and owned a comic book shop. He is the author of How Can We Save the Cheetah?, Lion Habitats Under Threat, and Rapture. He lives in Auckland, New Zealand."